The utilities sector accounts for just 3.17% of the S&P 500. Just two sectors — real estate and materials — command smaller weights in the benchmark U.S. equity gauge. Typically, traits like those would lead investors to think the utilities sector is overlooked, but among the broad market’s smaller sectors, utility stocks are among the more widely followed. There are several reasons why utilities grab attention despite the group’s diminutive status in broader benchmarks. First, the sector usually is not as volatile as more cyclical groups. Second, utility stocks and exchange-traded funds are often prized for above-average dividend yields. Today, the Utilities Select Sector SPDR (NYSEARCA:XLU), the largest utility ETF, has a dividend yield of 3.26%, or more than 120 basis points above the yield on the S&P 500. For investors looking to reduce portfolio volatility while bolstering income streams, here are some of the best utility ETFs to consider right now. Fidelity’s cheap ETF footprint is consistently growing and its status as the provider of the least expensive sector ETFs is a big reason why. Yes, that means the Fidelity MSCI Utilities ETF (NYSEARCA:FUTY) is currently the cheapest out of all the utility ETFs on the market. Fidelity clients can realize added cost benefits with this utility ETF because Fidelity ETFs are available commission-free. The $542 million FUTY follows the MSCI USA IMI Utilities Index and holds 67 stocks. FUTY is comparable to XLU, but these utility ETFs are not identical twins. That much is proven by FUTY’s slight edges in annualized volatility and returns over the past three years. While FUTY has some differences with the rival XLU, the dividend yield on the two utility ETFs is comparable as are earnings metrics. The Fidelity utilities ETF’s top 10 holdings combine for over 52% of the fund’s weight. The Reaves Utilities ETF (NYSEARCA:UTES) sports a high fee because it is an actively managed utilities ETF. But it’s still one of the best ETFs out there for those looking to invest in utility stocks. The aim of UTES is to outperform the S&P 500 Utilities Index. UTES’ “qualitative (management interviews, field research, macro factor analysis) and quantitative (modeling, valuation, technicals) analysis inform bottom-up security selection through a dynamic investment process emphasizing disciplined risk management,” according to the issuer. Active management does have some benefits within the utility sector. For example, the UTES management team can drill down on the sector’s better risk/reward opportunities while potentially identifying some utility stocks that are less sensitive to rising interest rates than the sector at large. Over the past year, this utilities ETF is beating XLU by nearly 100 basis points. Many of the largest utility ETFs are cap-weighted funds, meaning they tilt toward the sector’s largest constituents. That strategy makes sense because the sector is a large cap-intensive group, but reducing dependency on the sector’s biggest names can payoff from time-to-time. The Invesco S&P 500 Equal Weight Utilities ETF (NYSEARCA:RYU), the dominant name among equal-weight utility ETFs, is home to 27 stocks with an average market capitalization of almost $35 billion. None of its components command weights of more than 3.96%. In traditional utility ETFs, the largest holding’s weight is usually double or triple what it is in RYU. This utility ETF allocates almost 30% of its weight to mid-cap stocks, a figure that is high relative to rival funds. Over the past three years, RUTY slightly outpaced the cap-weighted XLU with slightly less annualized volatility. 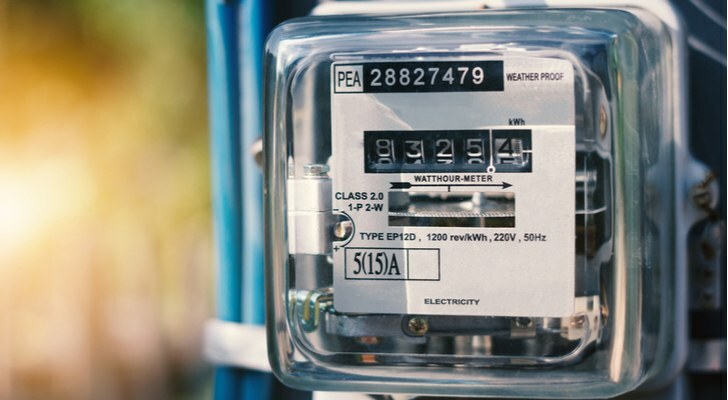 When an investor really wants a unique weighting methodology for utility stocks, the Invesco DWA Utilities Momentum ETF (NASDAQ:PUI) is the best utility ETF to consider. PUI tracks the Dorsey Wright Utilities Technical Leaders Index, which “is designed to identify companies that are showing relative strength (momentum), and is composed of at least 30 securities from the NASDAQ US Benchmark Index. Relative strength is the measurement of a security’s performance in a given universe over time as compared to the performance of all other securities in that universe,” according to Invesco. While momentum is not often a trait associated with utilities ETFs, the point is PUI works when this sector is in favor. This utilities ETF outperformed XLU by 830 basis points over the past three years. Note that nearly two-thirds of PUI’s holdings are mid- or small-cap names. Speaking of smaller utility stocks, the Invesco S&P SmallCap Utilities & Communication Services ETF (NASDAQ:PSCU) is the small-cap answer to the aforementioned XLU. The average market value of PSCU’s 23 holdings is $2.39 billion; extremely small relative to traditional utilities ETFs. With that market cap being slightly above the highest end of small-cap territory, about 12% of PSCU’s holdings are mid-caps. Yes, small-cap utility ETFs can outperform their large-cap peers, but do not expect a utility ETF like PSCU to consistently outperform standard small-cap benchmarks. Over the past three years, PSCU beat XLU, but the small-cap utility ETF trailed the S&P SmallCap 600 Index by a wide margin. Article printed from InvestorPlace Media, https://investorplace.com/2019/02/best-utility-etfs-to-invest-in-now/.